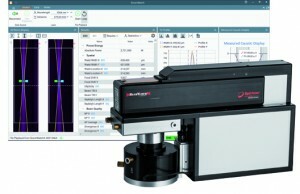 MKS Instruments, Inc., a global provider of technologies that enable advanced processes and improve productivity, has announced at SPIE Photonics West Ophir BeamWatch Integrated, a fully automated, non-contact laser measurement system designed to measure critical beam parameters in industrial production environments. A rugged, compact, self-contained system, BeamWatch Integrated measures parameters of the focused beam in real-time, including focus spot size, beam caustic, and absolute power readings. The system can accommodate different types of welding heads and includes a variety of interfaces, such as PROFINET and Ethernet/IP, for integration into production networks and automated manufacturing lines to facilitate direct transfer of measurement data. BeamWatch Integrated monitors high power YAG, fiber, and diode lasers in the 980-1080nm range. It charts all beam measurements over time in industrial material processing applications, such as welding and cutting operations in automotive, heavy equipment, and appliance manufacturing, or in oil & gas drilling. 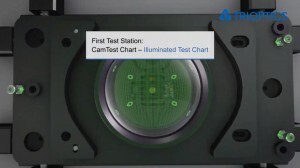 High magnification optics measure beams with spot sizes down to less than 80 µm or less, allowing for smaller, more precise cuts with less waste of material. Fast measurement times allow the laser beam to be checked automatically during the loading / unloading phase, as frequently as once every unit produced. All parameters are displayed and stored; trend diagrams deliver useful insights for predictive maintenance. Tolerances and limit values can be set to trigger corrective actions.